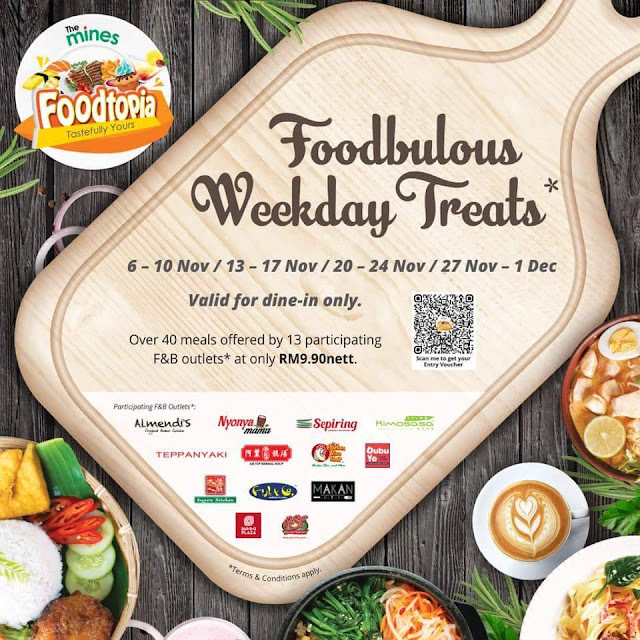 Food lovers, looks like November is a good month for you to invade The Mines as they have recently launched a foodie campaign, Foodtopia 'Foodbulous Weekday Treats' which is happening throughout November on weekdays from 6th November to 1st December 2018. 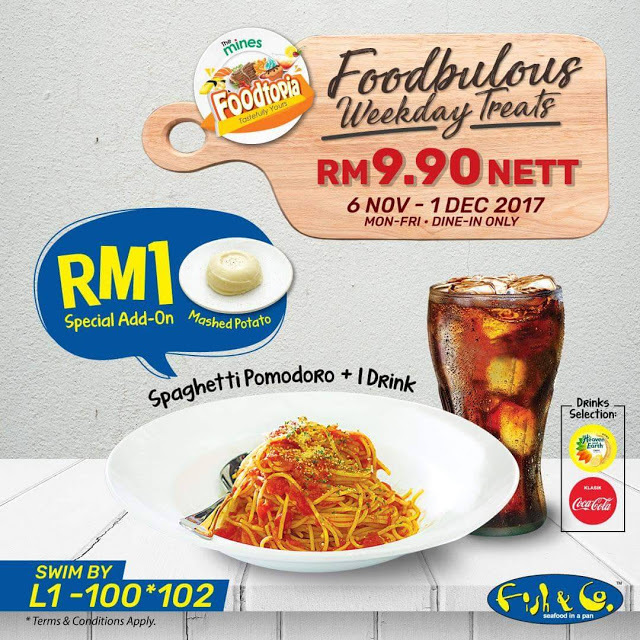 So if you're low on cash, but looking for delicious meals to enjoy, its time to check out the Foodbulous Weekday Treats campaign only at the mines. 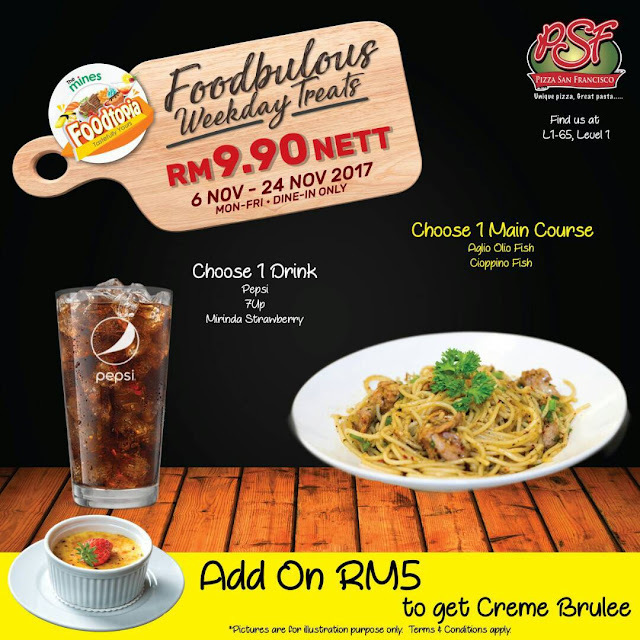 With deals starting from RM9.90 meals, you would be amazed at the options they have to offer from participating F&B stores. I experienced the foodbulous meals, and I can't wait to share with you the few outlets that I've visited and tried. I never knew that the mines had so much to offer, and I believe that it's a worthy post to share with you especially when you happen to be in the mines on a weekday. Now for the sentence that you've been waiting for, its time to check out the meals that I endowed during my visit over the weekend. You have been warned to not read this when you're hungry. hehe. First up would be Fish & Co where we had Spaghetti Pomodoro + Drink at only RM9.90 Nett! WOW! And if you would like to have Mashed Potatoes, with just an additional of RM1, you'll get the complete set of what we ate at a steal price. For a quick meal, this would be a great place to dine in on a weekday. Kimosasa is apparently a vegetarian restaurant which surprised me with the food that they offered. Not being vegetarian myself, after indulging in the meals that they had, I would have to say it's a great way to cheat your tummy by having vegetarian meals instead of meat if you're on a non-meat diet. It was one of the best vegetarian dishes I've ever had and I must say that I would definitely return for seconds. 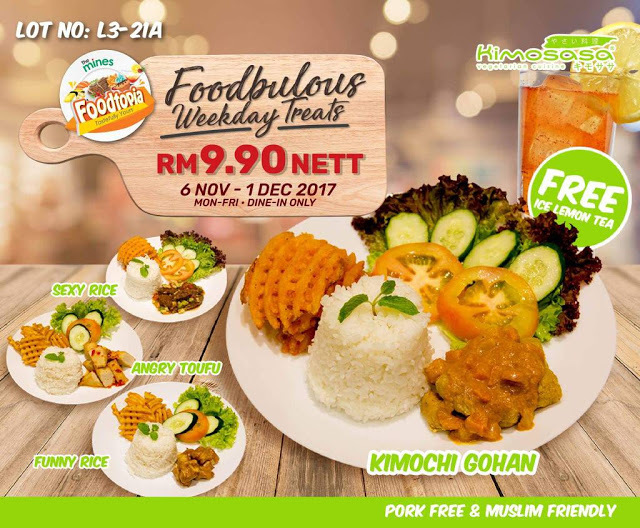 And again, at only RM9.90 Nett you can get a complete meal by dining in at Kimosasa. To those who love Arabian flavors, this one goes to you. 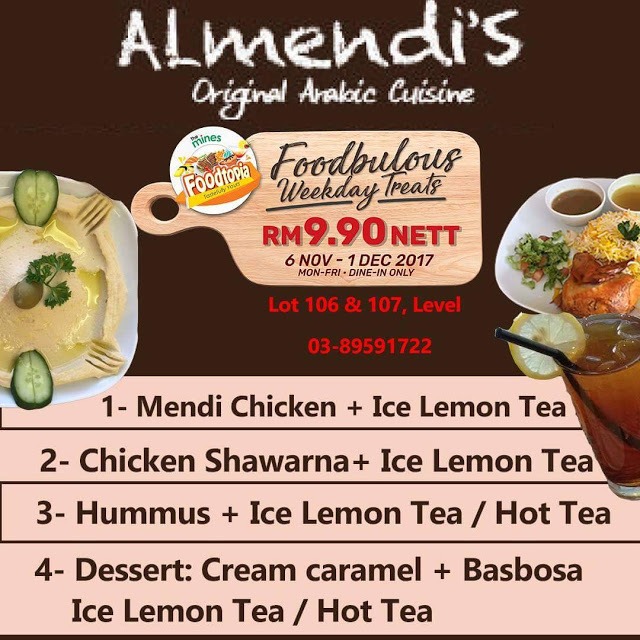 With a variety of dishes available in conjunction with the foodbulous weekday treat campaign, you'd be spoilt with choices on deciding on what to eat, featuring Mendi Chicken, Chicken Shawarma, Hummus, and Cream Caramel with Basbosa, which the meal is also inclusive with a drink depending on which meal you decided to pick. 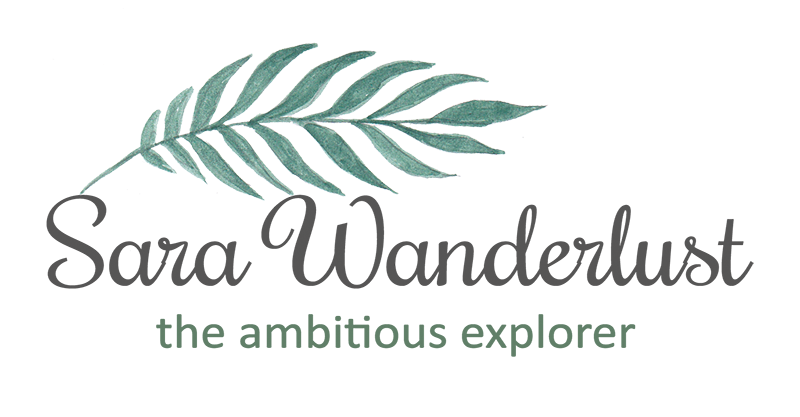 A personal favorite of mine would be the Mendi Chicken if you're feeling hungry, but if you just want some sweet delights, then you should really try the Cream Caramel with Basbosa for a taste of Arabic standards of desserts. Yum. Whos ready for some Makan Culture? If 'makan' (also means eating) is a culture to you, then head on over to Makan Culture for irresistible local dishes! 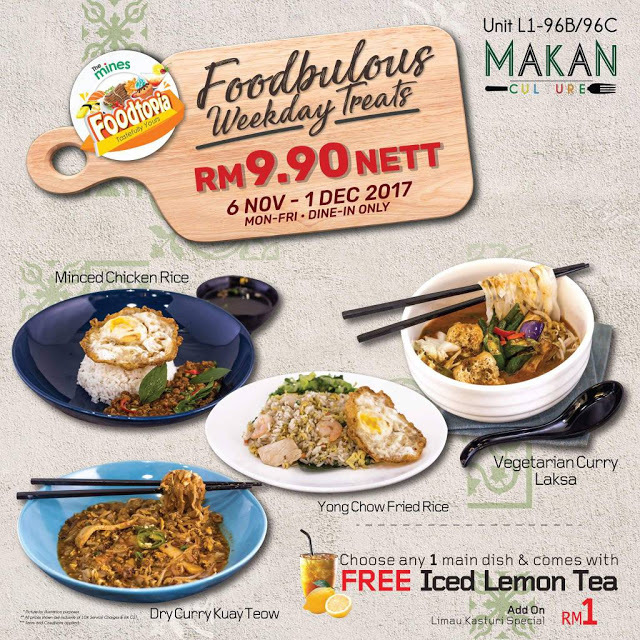 They have minced chicken rice, vegetarian curry laksa, yong chow fried rice and dry curry kuey teow which all comes with a glass of ice lemon tea. So if you're planning to come over with friends, here would be the perfect place to be to satisfy both rice or noodle cravings at a fraction of the cost. Hehe. Psstt, a personal favorite would be the minced chicken rice and dry curry kuey teow. And my last stop was at the Pizza San Francisco where there are 2 dishes to choose from, in conjunction with the Foodbbulous Weekday Treats. You can either choose to have their Aglio Olio Fish or the Cioppino Fish with a drink of your choice. And at the rate that you're paying, it would be good enough to satisfy your cravings and to also fill up your tummy. Mmmmhmmm. Step 5: ENJOY THE MEAL! So that's about it. 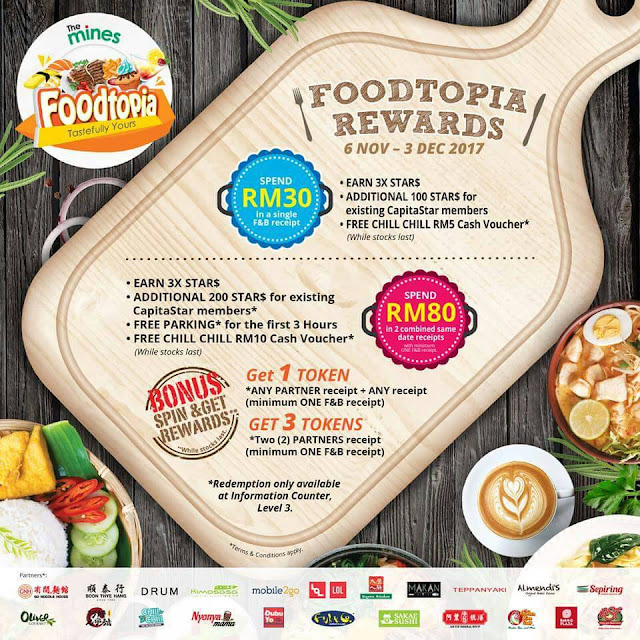 Head on over to The Mines and enjoy your chosen meal on a WEEKDAY to enjoy the Foodtopia Campaign. Do take note that once you've registered yourself through the website, you will also be receiving an ENTRY Voucher via email. If you think the campaign ends there, then think again! 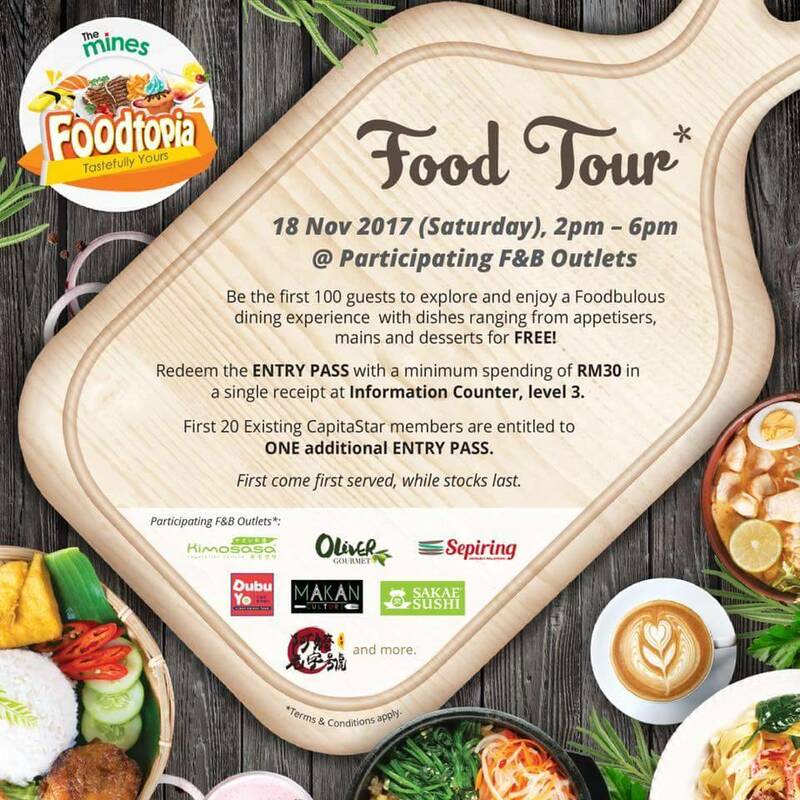 To those who spend a minimum of RM 30 in a single receipt or RM 80 in two combined receipts on the same day will be entitled to Foodtopia Rewards. Yes, i am not kidding you. So what are you waiting for? Save, Eat and be Rewarded by heading over to The Mines in November 2017. You really shoot stunning photo. I was swallowing my saliva looking at those photo early in the morning. I hate next weekend the most. There will be great events here and there and I will be flying to KK. Huhu. Why? Why? Apparently this is one of the best events host from the experience i have had in the past to to date as they turn 25 years. Really looked forward to their birthday event as i wish them all the best in the future ativities.